I’ve been following the progress of producer/director Adele Pham’s documentary about the Vietnamese nail industry since March 2013. Since then, Pham has established a solid team, delved head-first into the nail industry, and now she’s ready for your help in making this documentary a reality. Click here for #NailedIt's Indiegogo campaign. 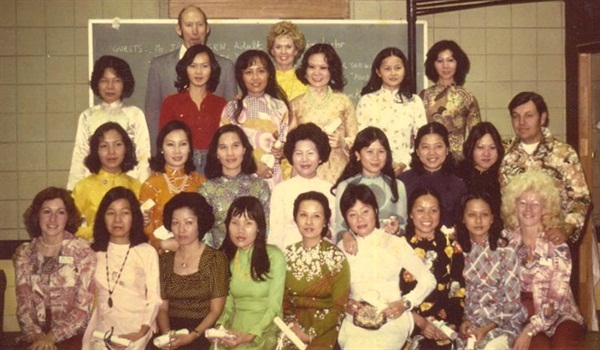 #NailedIt: Vietnamese & the Nail Industry will not only tell the tale of how actress and humanitarian Tippi Hedren helped Vietnamese refugee women into the nail industry, it will also follow personal stories of those whose lives were impacted. It will also touch on issues such as race relations, culture, and health issues affecting salon workers. It takes a village to raise a child and, in this case, our nail community can help raise awareness about the Vietnamese nail industry. This independent film relies on crowdfunding to help with its Indiegogo campaign, raising funds to help Pham and her crew edit the first cut of the feature-length film. In return, the team has set up some neat gifts and perks for donors at all levels. 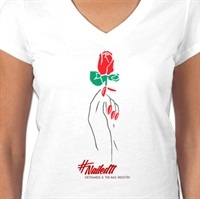 My favorite is this T-shirt promoting #NailedIt (right), drawn by artist Jeremy Arambulo using the classic hand with rose imagery seen on many nail salons, particularly in the ‘80s and ‘90s. Other thank you gifts include (but are not limited to) “Same Same,” a novel signed by author Ly Nguyen, a Nail Artist’s Package with a do-it-yourself nail art book and nail supplies/brushes, a DVD copy of #NailedIt when it comes out, an LED lamp with gel-polish and top coat, a postcard, or thank yous across #NailedIt’s social media accounts. You can even donate to earn an associate or executive producer credit in the documentary. The IndieGOGO campaign is picking up steam, being featured on main media sites like InStyle, Angry Asian Man, Refinery29, and Daily Mail Online. Here’s an interview with Kelvin St. Pham conducted in Vietnamese by Nguyen Khoi, Que Huong Media. For more information or to donate to this documentary, visit #NailedIt's Indiegogo campaign by clicking here. You can also keep up with production on the #NailedIt Facebook page.